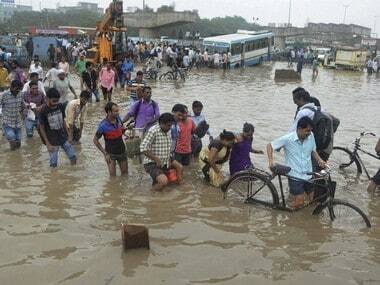 Modi arrived in Assam on Tuesday to review the flood situation and relief works in the state, where scores of people have died due to the extreme weather. 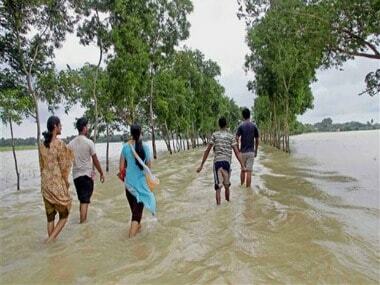 The flood situation in Assam improved marginally on Thursday, although over two lakh people are still affected across 13 districts in the state. 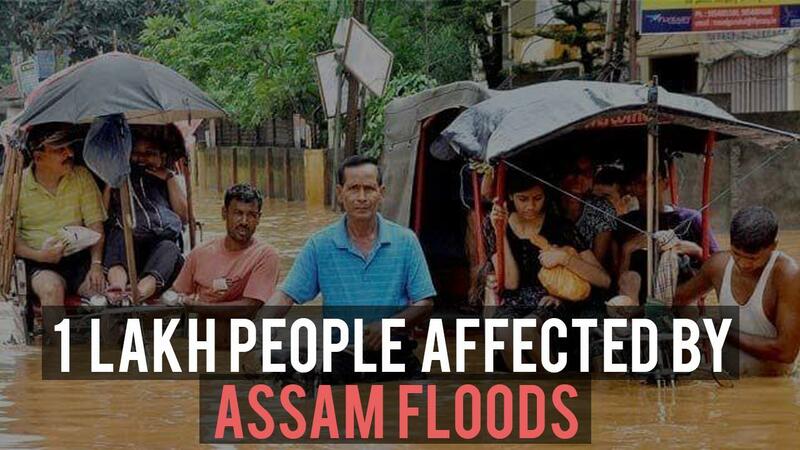 The flood situation in Assam continued to deteriorate with five more persons losing their lives today as while over 17 lakh people remained affected across 26 districts in the state. 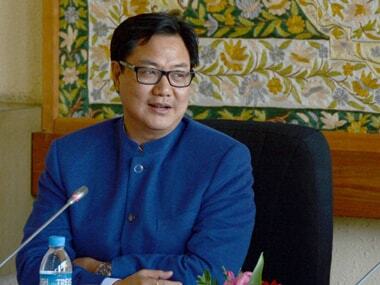 Union minister Kiren Rijiju on Thursday undertook aerial survey of flood-hit districts in Assam, where the death toll due to the deluge has mounted to 45. 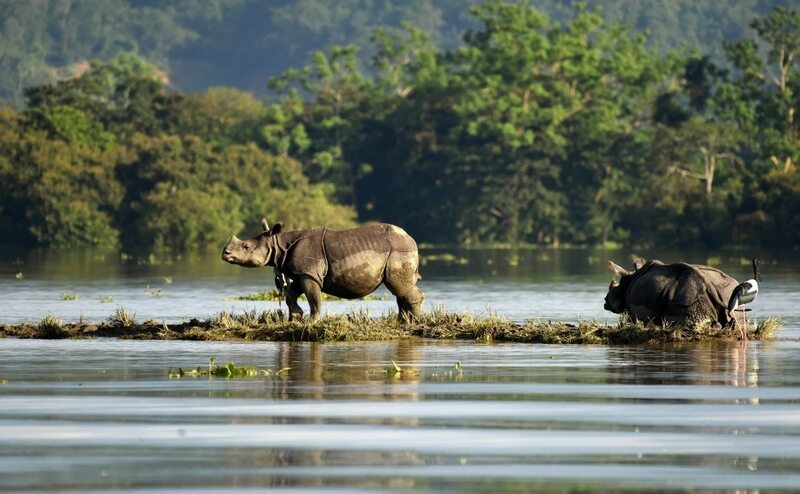 The report said that 453 villages in Assam are currently under water and over 5,272 hectares of crop area have been damaged. 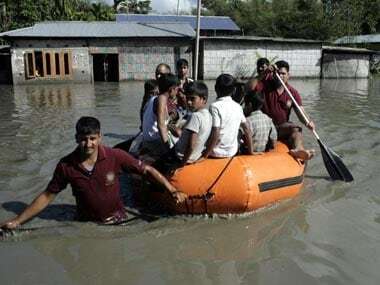 Over one lakh people in Assam are reeling under the impact of floods in eight districts, where the swirling flood waters have overrun 188 villages in 13 revenue circles. 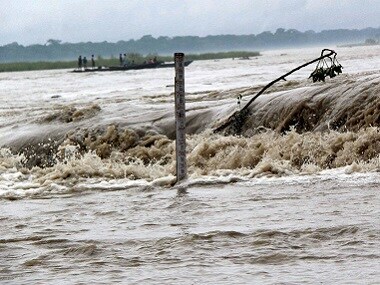 Flood situation in Assam remain critical in four district with 38,000 people still affected in the deluge, even as some areas showed signs of improvement.